This project was funded by the Marie Curie Intra-European Fellowship scheme (FP7-PEOPLE-2012-IEF, n° PIEF-GA-2012-331969, 04.2013-03.2015). Host organization of the Marie Curie Intra-European Fellowship: National Hellenic Research Foundation, Institute of Historical Research, Section of Greek and Roman Antiquity. Contact point of the host organization: Dr. Sophia Zoumbaki. The project is currently funded by the University of Birmingham, School of History and Cultures, Department of Classics, Ancient History and Archaeology. The project focuses on the residential neighbourhoods of late Hellenistic Delos to address the ties between economic change and urban growth. 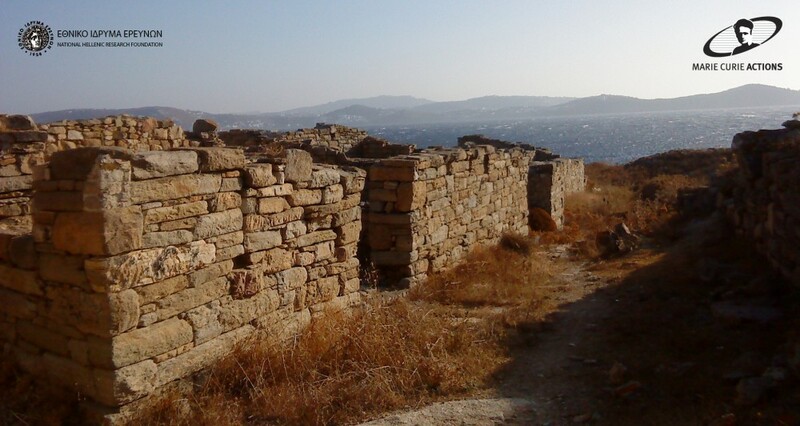 By analysing the urban development of late Hellenistic Delos in relation to economic activities, public administration and private initiatives, the project examines these neighbourhoods as microcosms of the broader developments that the island underwent during the Hellenistic period, when the island became a commercial base connecting the eastern and western Mediterranean. Delos is a UNESCO World Heritage Site.